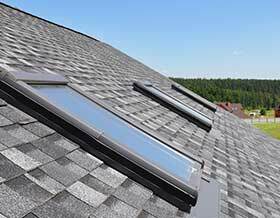 Window Replacement & Skylight Installation in Amarillo TX | Mayfield Roofing Inc.
Mayfield Roofing is a family-owned and operated residential and commercial roofing company serving North Texas and the Texas Panhandle. Our company has been in the same family for three generations and operates out of Amarillo, TX. It has been our goal and commitment from the beginning to provide our customers with the highest quality roofing products, installation services, and repairs. Installing new windows or skylights in your home or business can help transform its cosmetic appeal, increase its value, and improve its energy efficiency. Our team will work with you to choose a product that fits your needs, style, and budget. Our window and skylight services complement our home improvement services, including siding and gutter repair. Whether you are looking to lower your monthly energy bills or just want to give your house a new look, we will help you find the windows which complement your home’s aesthetic and architectural style. 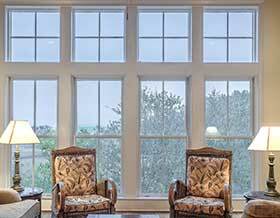 In addition, new windows have the benefit of increased security and noise reduction. We will work with you to explore the available window options and help you find the perfect product for you. There are many benefits to installing skylights in your home or office. Not only can it increase the amount of natural light in a room, but it can also can help reduce your monthly energy consumption. In addition, it can provide additional ventilation options, bringing fresh air into your space. Our team has the skills and expertise to safely install or repair your skylight. Need help installing skylight screens? We are the company to call. We work carefully and efficiently. For more information about our past projects, our services or to receive a free estimate, please contact us at 806-352-5649 to reach our office. We strive to provide professional, efficient services, and the smiles are always free!